Due to financial restraints, many companies have had to downsize their workforce. One of the outcomes of this shifts is that the remaining workers are pushed to work harder for longer hours. Naturally, this leads to a more tired workforce. We now know that a tired workforce is a less effective workforce, we also know that exhaustion leads to accidents and hazards. 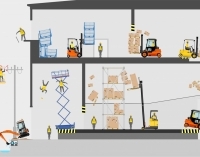 With this in mind, what can managers and supervisors do to identify exhausted workers and what is the right approach to reduce risk of hazards? 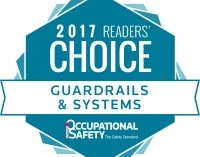 With 40,000 ballots cast, Kee Safety is voted one of the top companies within the category of Fall Protection: Guardrails & Systems according to Canadian Occupational Safety. When it comes to fall protection, many don't know where to start. Do i buy a lifeline? A guardrail? Should i just board up the roof access door and pretend it doesn't exist? Luckily there is a simpler way to approach these questions. Learn how the hierarchy of fall protection can help you figure out where to start and what changes should and can be made right away to get a safer rooftop workplace. Safety isn't just a product or a way to avoid trouble. A culture of safety in a workplace is a holistic approach to protecting workers and prioritizing good practices. 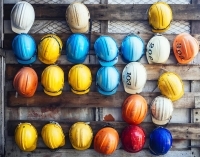 In just a few simple steps you can start to create this safety culture in you company. June is national safety month and the first week is focused on managing the risks from slips, trips, and falls. See what resources are available to help you confront these risks in the workplace.